Can A Podcast Lead To Speaking Engagements? Podcasting can be one way to hone your speaking skills. And once you have honed you're speaking skills, you might be thinking that you could get in front of a crowd and speak about your particular topic. This question was asked to me recently on my YouTube channel about getting an opportunity to speak in front of people because of a podcast. Back in 2015, I was asked--by the organizers of Podcast Movement--if I could speak at one of their conferences. You have to keep in mind, I was only helping clients to build podcast and didn't have an active program. Nevertheless, one of the organizers saw that I was making waves in the niche and asked me to speak to help build awareness around his growing conference. I made the trip out to San Diego for the pre-conference speech as the only radio broadcaster. Everyone else was a successful podcaster who were driving traffic and downloads to their program by the hundreds of thousands. Who was I to be any type of authority figure to these people who were garnering thousands upon thousands of downloads? To me, it really didn't matter. I mean, I had dealt with audio for 15 years and knew what I was talking about when it came to presenting live and editing. All I wanted to do was help podcasters improve upon the numbers they already had. In fact, my speech was the only presentation that allowed podcasters to get more creative with their own delivery and “programming”. And, my presentation was one of the few that really blew the minds off other podcasters. This helped me build my authority. So if we are to come back to the idea of getting a speaking engagement because of your podcast, let me share with you some ideas on how to get a speaking engagement. 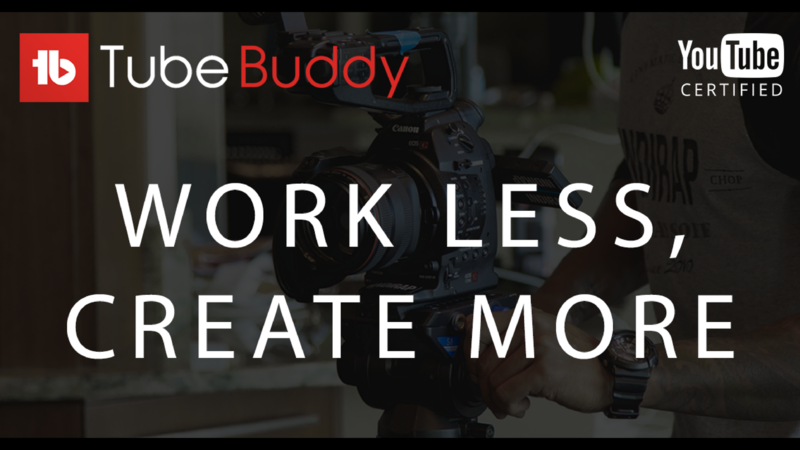 I'm sure you have heard social influencers say that you need to keep podcasting to become some type of authority figure within your niche. The beauty behind being the authority within a niche means that people will come to you to answer their questions. If you know how to do something really well, then you are an authority figure. If you happen to know a lot about cars and how particular engines work, then you're an authority figure. Sure there are plenty of other people out there that know how to work on an engine, but they aren't you. I think the hardest thing for people to realize is that even though other people may be an authority like you, no one person is exactly the same as you. No one program can be exactly the same. No one person is the exact same. You are you. Your personality and style will determine whether someone likes you because you are you. In fact, those who are similar authority figures within your niche are great people to collaborate with. Don’t think of them as your enemies. 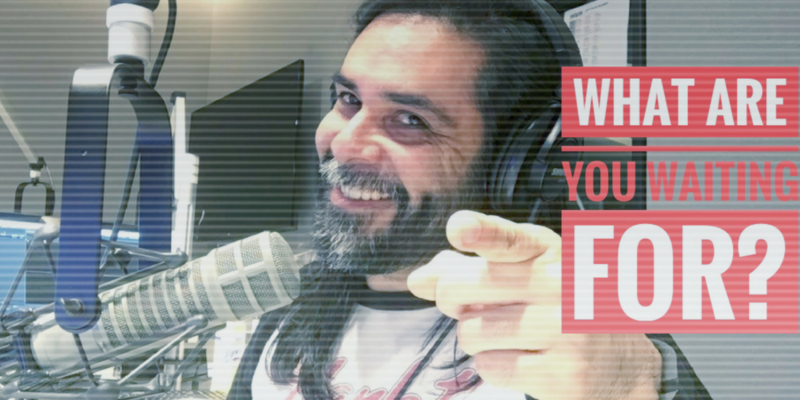 There may be the instance where you are trying to grow your brand and a collaboration may give you the opportunity to hop on to their podcast to grow your audience. At the end of the day, all you're trying to do is to build up some type of social equity for people to follow. This will help build your authority. 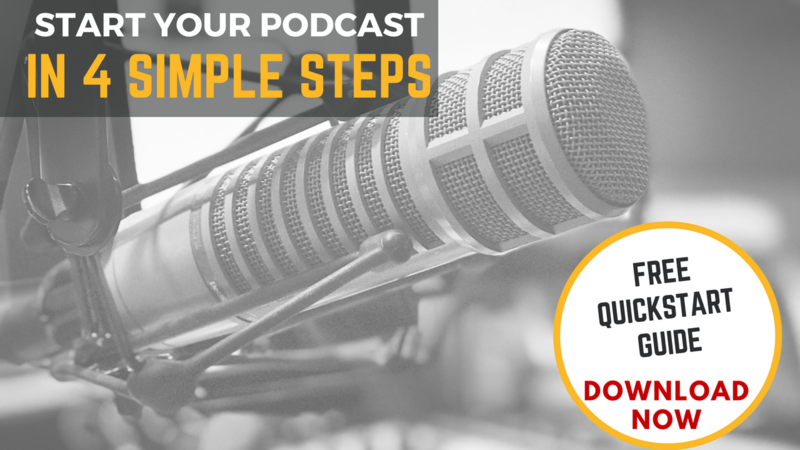 Maintaining consistency with your podcast is probably one of the hardest things that you can do. Consistency is all based around habits. Your habits determine the outcome of the content that you create. What conference organizers look for is consistency. Are you posting a podcast every week? Are you creating regular blog content? 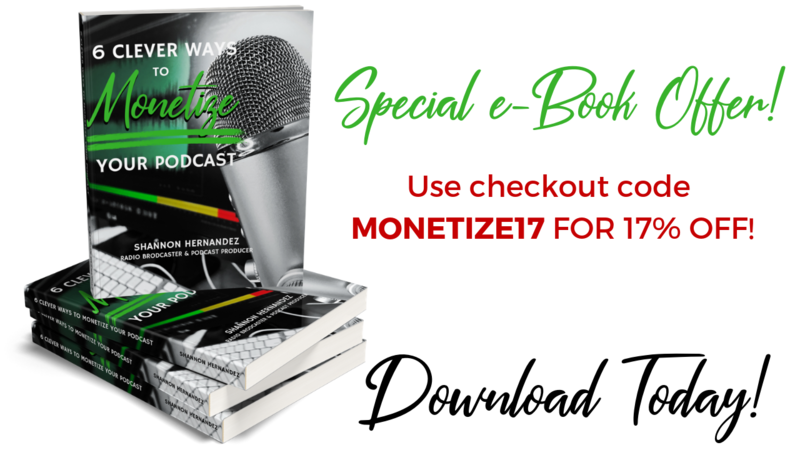 If you regularly release great content on your podcast, it gives the conference organizer an opportunity to thumb through all of your episodes and see whether you are a fit for their event. If you are a great fit, they may offer you a 40-minute slot to speak at a three-day conference. Sometimes these conferences will pay you to go speak while others will only give you the admission into their event. You may absorb the cost of travel and lodging, but you might get great exposure to a whole new audience who is never heard of you. 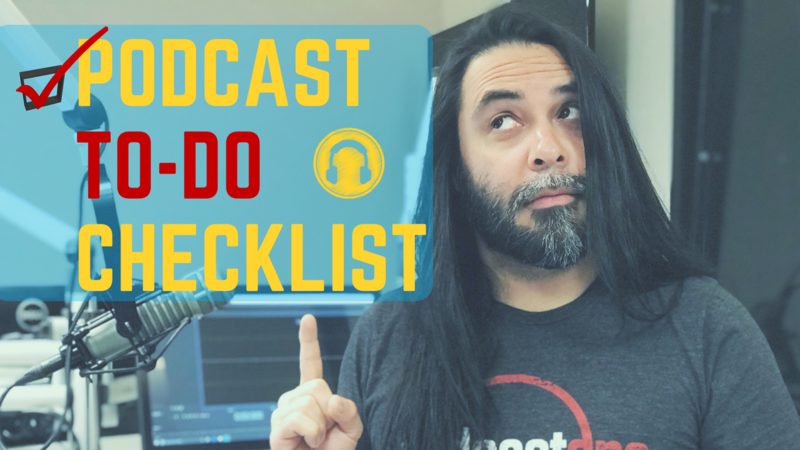 So maintain the consistency of your release schedule with your podcast so that the conference organizers can come to you first before anyone else. I have mentioned this in previous posts and I think it's worth mentioning again. If you don't already have a website, then you need to make one that is REALLY good. In fact your website should be visually appealing so that a conference organizer can see that you are serious about your podcast game. I mentioned in a previous post that you should transcribe your podcast and place them on your site. You can read that blog right here. But a great website is almost like a virtual resume that someone can peruse to see what type of work you produce. Some people may listen to your podcast while others will want to read the blog posts. I know that when I'm interested in getting someone on my podcast, I am going to their website and researching what type of content they have placed on it. I may read the first couple of blog posts or I may jump way back into their blog to read about a post to give context to my upcoming interview. Conference organizers may do the exact same thing for you. That's why I think you should maintain a really great website. Not all of the time will conference organizers approach you. I just happened to be lucky when I got asked to speak. I had already known a couple of conference organizers for Podcast Movement by attending another conference they were attending too. So what you'll need to do is a little bit of research in your niche. For example, I have a particular YouTube viewer who does a podcast on fishing. I'm almost positive that there is some type of National Conference for fisherman that he can attend. If attending isn't something that you can do right away, you can always follow the Instagram accounts of those events. Find out who the organizers are and follow them too. Do yourself a favor and show GENUINE interest and their content. If they're smart, they’ll appreciate the interaction that you're giving their page. This might open some doors for you to speak at one of their events. Don't forget that you can also speak at local events within your city or town. By speaking at some of these events, it solidifies your authority if a national organzier might approach you. Please don't misconstrue what I'm telling you right now. I'm not asking you to bug the conference organizers, rather just have a normal conversation with them so they can be acquainted with who you are. If you can't get in touch with the organizers, most websites are always looking for people to speak. In the instance of the digital marketing space, you can show up on those websites and see there are opportunities to speak. Of course, these opportunities will be unpaid but they will give you a lot more exposure if that's what you're looking for. So seek out opportunities to speak. They won’t always come to you. If you do get asked to speak, you want to make sure that you have your ducks in a row. What do I mean? It’s always great to be asked to speak in front of a group of individuals. But opportunity strikes when people visit your website and see that you have something to offer them. 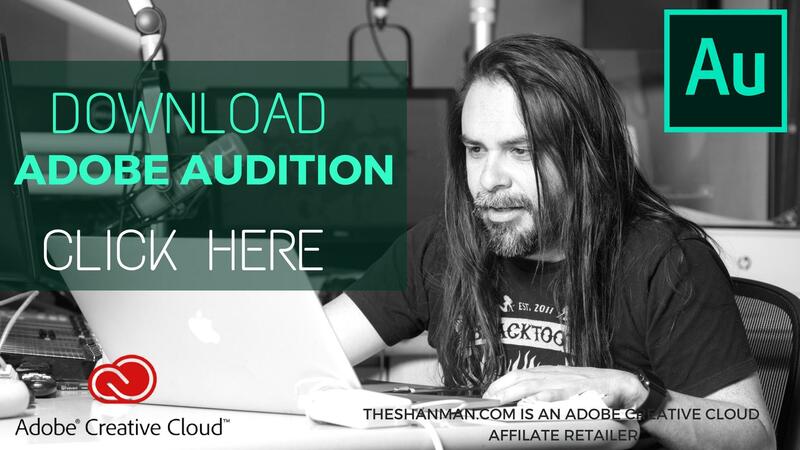 These offers can come in the form of downloads to your podcast, reading your blog post, joining your email list, connecting with you on social or potentially selling them a digital product. Or, maybe it's not a digital product, but physical products that you can share with them and maybe get paid. Do I hear “monetization”? This is why I stress the importance of setting up your website. Make sure your website has all the pieces intact before you start attending any type of speaking engagements. This doesn't mean that you have to turn down a speaking engagement if you don't have everything up on your website. But it's always best to have all of the opportunities on your website available for potential visitors after you speak. I can almost guarantee you that once you speak, people will show up to your website and want to learn more. Just make sure you have those opportunities available for them to take an action on. Have you ever been asked to speak in front of a group of individuals because of your podcast? I love to hear what your story is all about. Leave it in the comment section down below.